Grass trimmers help to keep the yard neat—they are used to cut the grass that is close to fences and other landscaping, as the lawnmower does not get close enough. String trimmers are also useful for cutting weeds and some light brush. Choose the type that best fits your needs: If you have a small yard, an electric or battery-powered grass trimmer might best serve your needs. If you have a larger yard, you will need a gas string trimmer. The two main types of trimmers are based on the trimmers’ shafts, then the types are further broken down by the type of power that runs the trimmer. 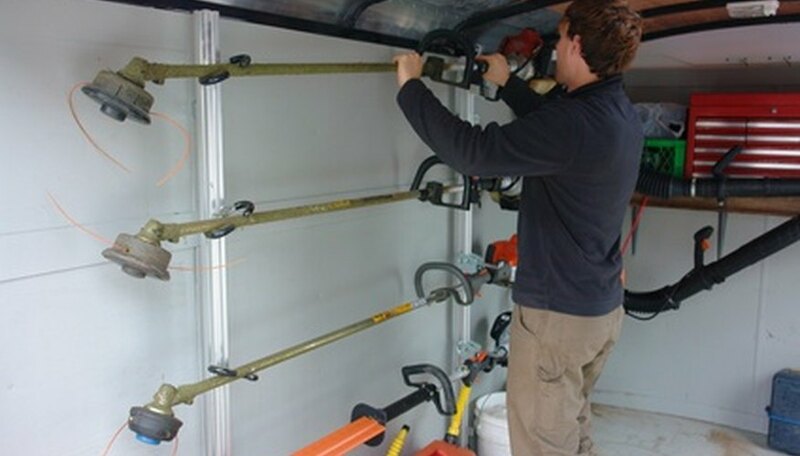 The straight shaft trimmer is more expensive than the curved shaft trimmer, and is used by professionals or by people with heavy-duty lawn trimming (large lawns). The straight shaft trimmers are better with thick grass, tall grass and weeds. The curved trimmers are best for smaller yards and grasses that are kept short. They are not good for parts of the yard that might have become overgrown with weeds. Gas trimmers are more powerful than non-gas trimmers. The gas grass trimmers, especially a gas grass trimmer with a straight shaft, is the homeowner’s choice for large yards and for areas that generate weeds (near barns, sheds, fences). Gas grass trimmers are loud, and because they produce exhaust, do contribute to air pollution. There are two types of non-gas grass trimmers: corded and battery. They have little to no maintenance requirements, use electricity for power, and produce very little air pollution. They are also quieter than gas grass trimmers and weigh less than gas trimmers. Battery-powered grass trimmers are less powerful than the corded trimmers. Battery-powered trimmers are great for a homeowner with only a small patch of yard.